The ingredient Pear is only found as food. 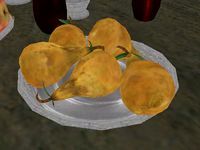 Pear is one of only two ingredients (the other is Wisp Stalk Caps) which can be used to create Fortify Speed potions. Since these two ingredients also share the effect Damage Health, you can only make Fortify Speed potions that have a negative side-effect, and only at Expert level. It can also be found randomly in the inventories of food vendors and in food containers. 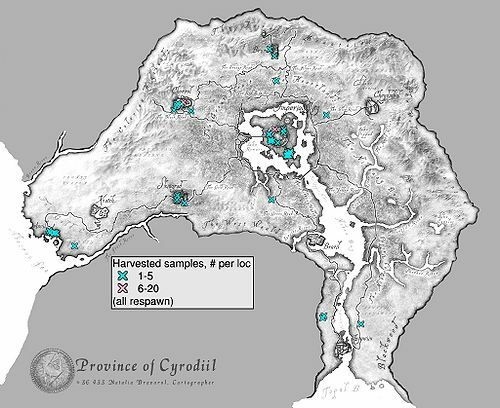 Shivering Isles adds two additional samples. Esta página foi modificada pela última vez à(s) 23h19min de 2 de junho de 2015.